It’s exciting when we find a new staff member that will be a great addition to the team. We are hopeful that they will blend well with our culture, be accepted by all and be an asset. Bringing on new staff adds tasks as well. Here is a list of onboarding tasks and some tips to make it easier. Do a License Check before making an offer. Making sure that the licensed candidate holds an active license without any discipline issues prior to offering a job saves a lot of drama and challenge. You may want this to be part of your vetting process prior to offering the role. Background Checks: There are companies out there that charge a nominal fee and offer a quick turnaround, should you require them. I’ve used Sunshine Research, and have been very happy with the ease and timeliness they offer. Fun fact: They are located in the town where I worked as a student nurse back in the day. OIG Checks: I recommend that everyone do an exclusion check on the OIG website to ensure that your new staffer has not placed on the exclusion prior to completing the hiring process. Get the I-9 information first. Make sure to complete an I-9 prior to bringing new staff on board. Depending on your facility, you may need to use e-verify or just document the items that were presented to complete the task. Either way, it’s a necessary step prior to employment. Consider sending the new employee a welcome e-mail with the I-9 list of acceptable documents, so they come in ready to complete the form. BLS/ACLS/PALS cards: You may want to remind the new staff member in that welcome email to bring the appropriate certifications with, or better yet, have them scan and send the card information in advance. I use an app called CamScanner, which allows you to take a picture from an app on your phone of cards/documents, etc., to send as a PDF. 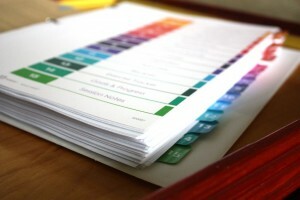 It is great for those who don’t have a copier/scanner at home. Health requirements needs: (TB, Hep B, flu) As part of the welcome email, you may want to remind the new staff member to bring their most current PPD result to save having to be re-tested, or negative chest x ray if they test positive. If you require Hepatitis B vaccination information or proof of flu vaccination, let them know of those as well. Dressing the Part: As part of that welcome email, find out their scrub sizes and preference, and any name tag label requirements. It will be nice to have those items ready and waiting on their first day. If they are in the OR, address any dress code items as well in the e mail (jewelry, nails, under shirts, foot attire, cloth caps, etc.) to save time and answer possible questions before they start. 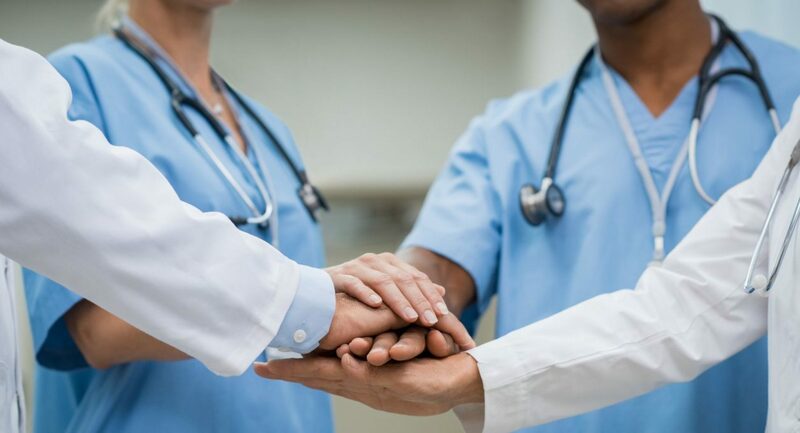 Send an intro e-mail: Just prior to their start date, email all your physicians and staff to let them know about your new team member and encourage them to welcome them. It will save on intro time and make the new team member feel more welcome. Assign a preceptor. Make sure that the new staffer has an assigned “go to” person for questions and support, even if that person is you. Even if they are training with multiple people in different areas, having one person to turn to will make them feel more secure as they learn the facility and the culture. Orientation checklist and outline: A good orientation outline will make sure that everything gets covered and you haven’t missed anything. Consider including how the facility documents, how to use the phone and copier, and how lunches and breaks work. Make sure to instruct the new team member to address any missing new hire paperwork and information so that everything gets complete, and get the new team member and preceptor to initial all the boxes prior to filing it all away in the HR file. Education and compliance training: Make sure that all the regulatory training requirements are met within 30 days of hire. We offer a comprehensive training library that is web based and self-paced, and provides a certificate of completion when done. You can find it on our website under ASC Solutions Academy. Malignant Hyperthermia Training: If you use triggering agents, MH training needs to be completed prior to patient care. MHAUS offers great resources if your anesthesia provider doesn’t have formal training. Emergency Tour: I recommend that, as you tour your new hire through the facility, that you include orientation to all the emergency response information and equipment. Don’t forget how to respond to alarms (generator/gas/vacuum pump/nurse call) as part of the tour. I created an emergency scavenger hunt to help with the process – download it here. Feel free to download it and customize it for use in your own facility.